In the GDR of the 1970s and ’80s, Jurgen Bottcher was the best known documentary director by far and was regarded as a secret model for many East German filmmakers. 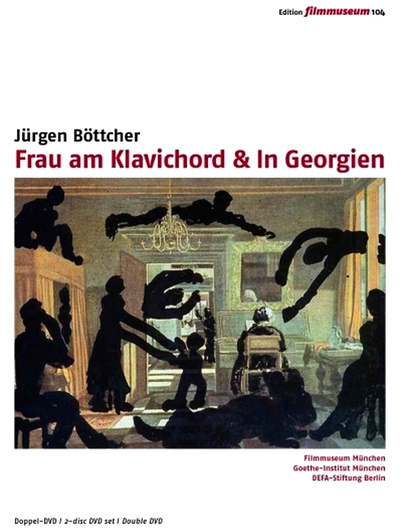 With films including the 'rubble woman' portrait Martha, the three-part experimental film cycle Potter's Stier, Venus nach Giorgione and Frau am Klavichord, the portrait of the artist Kurzer Besuch bei Hermann Glockner, and also the documentaries Rangierer and Die Kuche, noted for their outstanding sound and visuals, Jurgen Bottcher distances himself yet further from the didactic tone and abstract heroic representation of socialist films. In Georgien is the only full-length film that Bottcher was able to shoot on location outside of the GDR.